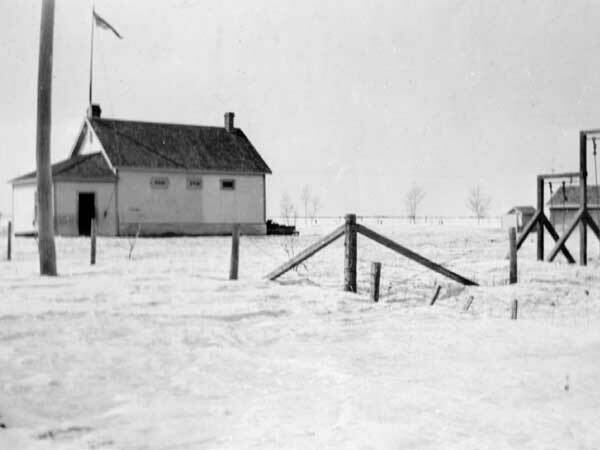 The Castleton School District was established in August 1898, operating in the village of Culross in the Rural Municipality of Grey until January 1967 when it merged as part of Elm Creek Consolidated School No. 812. A wood frame schoolhouse was constructed later that year. It was renovated extensively in 1937 with the addition of a full basement, furnace, indoor toilets, and student activity room. The building was replaced by a new structure in 1958 and the original building was moved to a farm southwest of Culross where it was used as a workshop, later destroyed when the site was abandoned. 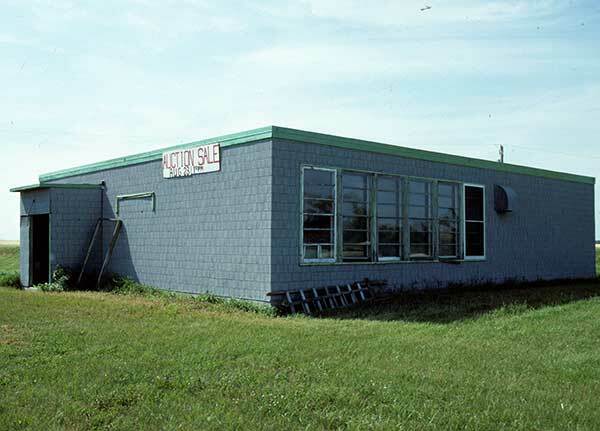 The school closed permanently in June 1967 and was used for storage. It was destroyed by fire on 1 July 1990. 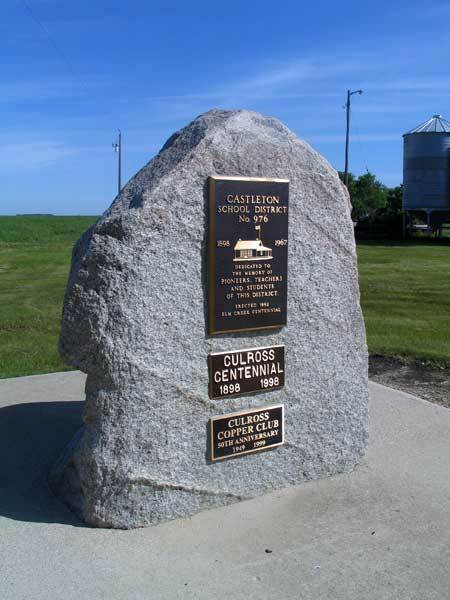 A monument commemorating the school was erected in 1992 as part of Elm Creek centennial celebrations. Other plaques at the site commemorate the Culross centennial in 1998 and the 50th anniversary of the Culross Copper Club in 1999. The former school building was destroyed by fire on 1 July 1990. Among the teachers of Castleton School were Miss Pedlar (1898), Miss Aitkin, Mr. Humphries, Violet Anderson (1929-1934), Gertrude Abbott (1934-1939), Ina Harris McIntyre (1939-1940, 1948-1950, 1952-1953, 1955-1961), Mrs. Elsie Boatman (1941-1947), Hazel Ingram (1950-1952), Helen Halliday (1953-1954), Beverley Watson (1961-1963), Sharon Peckover (1963-1965), and Mrs. Mary Duncan (1965-1967). GR8461, A0233, C131-2, page 33. Source: Historic Resources Branch, Public School Buildings Inventory, slide 507.